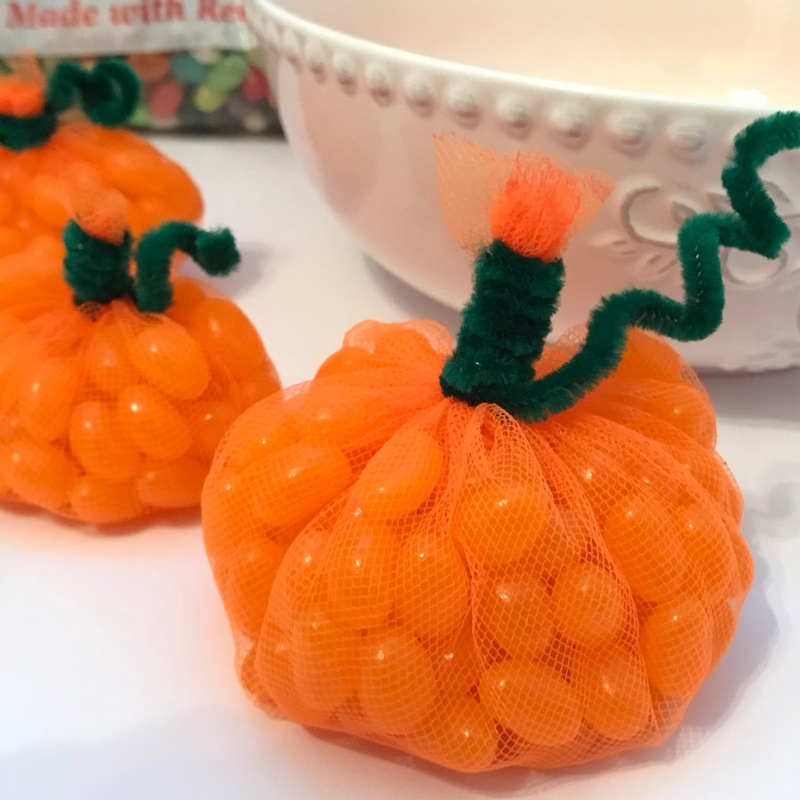 Looking for a yummy craft to make with your little pumpkin, try making Jelly Bean Pumpkins! Super simple and simply yummy, you can make these in a matter of minutes and they are sure to be a hit. 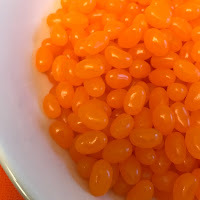 We were inspired by the Gimbal's Gormet Jelly Beans for this project. 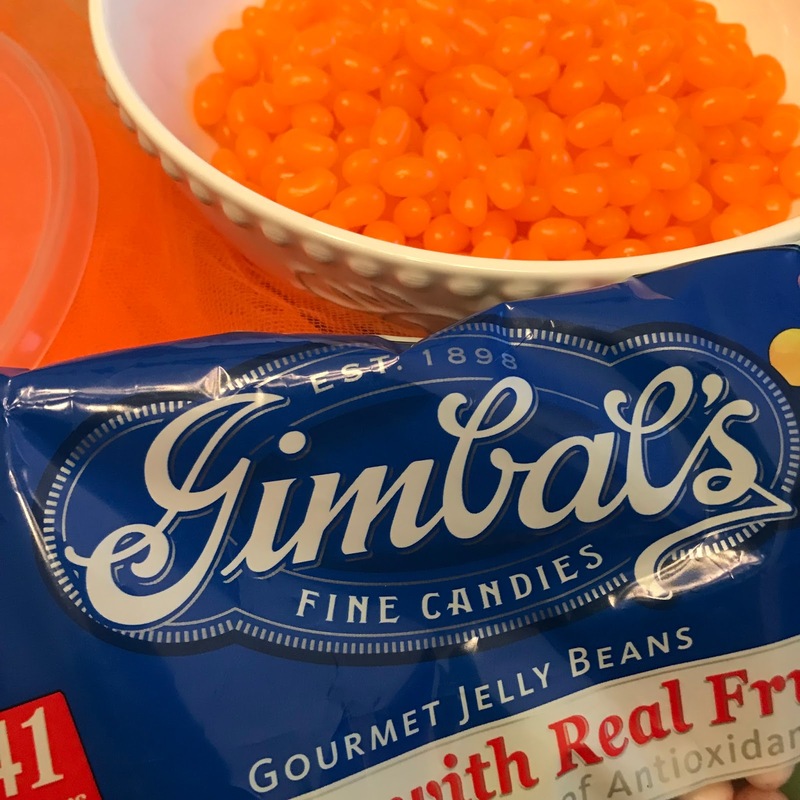 Gimbal’s Gourmet Jelly Beans is the perfect treat for crafts and parties during this haunted holiday. The jelly beans are free of a lot of major allergens including gluten, peanuts, dairy, tree nuts, egg and soy, making it safe for many to enjoy. 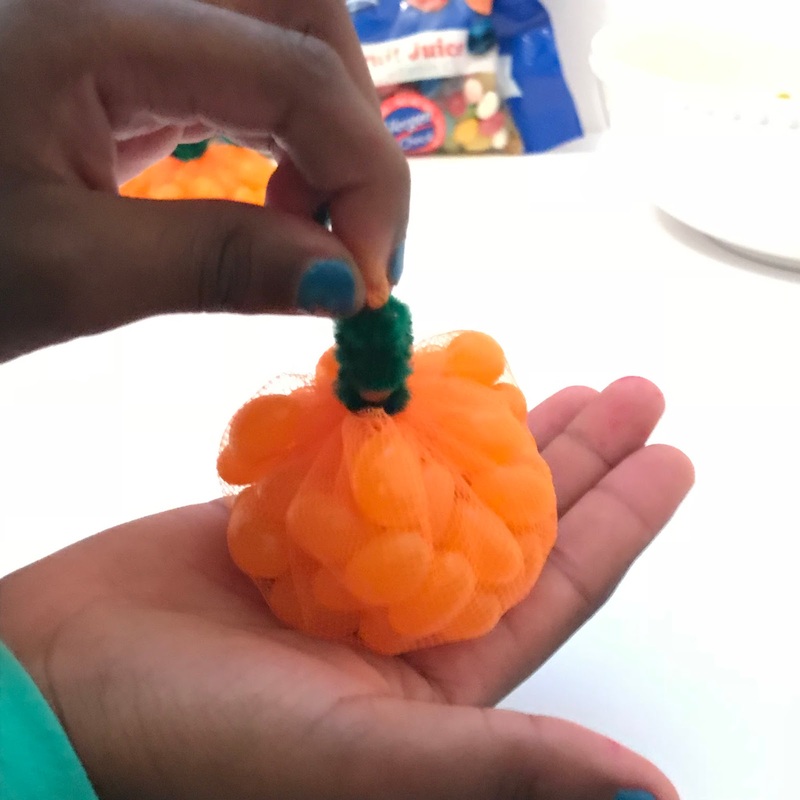 With just tulle, pipe cleaners and delicious jelly beans, you can create yummy pumpkins that are sure to bring a smile to your trick-or-treater this Halloween season. Cut off any access tulle – you have your pumpkins! Princess A loved this craft and had even more fun eating it! 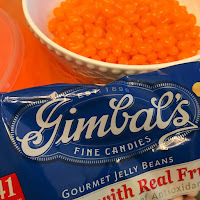 This is a sponsored post for Gimbal's Gourmet Jelly Beans. All opinions are mine.